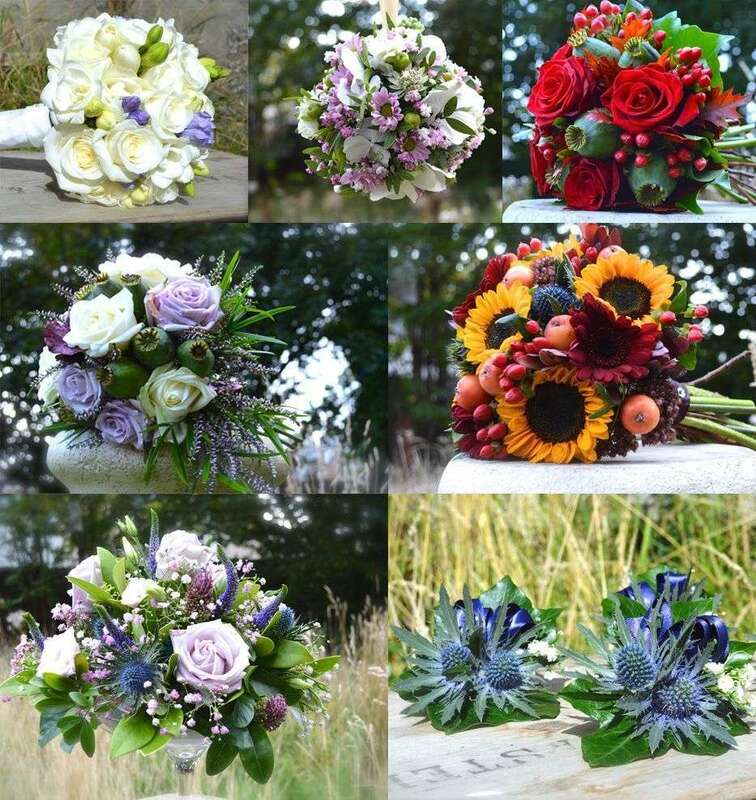 Ellon flowers can create the perfect wedding flowers for you. Our florists work hard to create beautiful, unique flowers for every wedding. All of the Flowers Ellon Flowers provide can be completely bespoke to you and your day, so whether you are looking for something with a particular theme, style or colour in mind, working together with our leading wedding florist at Ellon Flowers we can create the perfect flowers for you. Ellon Flowers can provide as much or as little help as you see fit, if you know exactly what oyu would like and just need to explain to our florists that’s great, if you don’t know what you want at all and are looking for some inspiration to help you along that’s fine too! At Ellon Flowers we recommend a one-to-one consultation with our florists, so no matter what stage of planning you are at working together with us at Ellon Flowers we can create the perfect flowers for you. Wedding Flowers Collection Vera Wang Weddings Corsages & Buttonholes Wedding Florists Ellon Flowers have over 40 years experience in providing the best quality flowers for all of your wedding requirements, Ellon's Team of Florists can create anything you have in mind or if you are not sure what you are looking for our florists can help kick start the inspiration, with our portfolio books you can see what we have done in the past to give you an idea of the skill our florists have. The best thing about our florists service is that you can always talk to the same person about your wedding flowers, our head florists deal with all of your needs personally, so if you change your mind about anything we can chage the details for you, no problem. Wedding Flowers Ellon Florists With our portfolio of previous work you can get to know our styles and see what you might like, Ellon Flowers provide flowers for every aspect of your wedding, Ellon Flowers can provide: the bridal bouquet, bridesmaids flowers, flower girl flowers, decorations for the church or reception, buttonholes, thank you bouquets and everything else you need to decorate perfectly for your wedding and surround yourself with gorgeous fresh flowers from Ellon Flowers. With a keen eye for floral art Ellon Florists cal always provide the most upto date fashions for the fashion conscious brides, for a traditional wedding flower choice Ellon Flowers can use our wealth of experience to put together the perfect bouquet in your very own style to reflect your taste and personality. Ellon Flowers cater for all kind of brides with all kinds of taste, so no matter what you are looking for Ellon Flowers will make sure they are the flowers of your dreams. With Delivery directly to you on your wedding day, Ellon Flowers will deliver the flowers to you in plenty of time before the wedding, your freshly made up flowers will arrive early so there’s no last minute panic’s and you can relax and enjoy your day. For further enquiries regarding our wedding service or to book a consultation you can call or email us and one of our Ellon Flowers team will gladly help to organise the necessary arrangements.